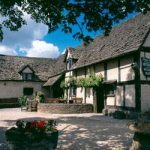 Enjoy traditional English cooking and a wide selection of real ales and traditional ciders whilst soaking up the historical atmosphere of the Fleece Inn. After a devastating fire in 2004 the Fleece was restored to its former glory and continues to take great pride in its traditional English roots. 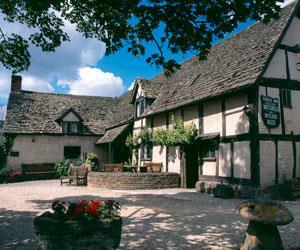 Home to one of England’s oldest pewter collections and many more historical features and stories the Fleece houses countless memories, old and new. Our charming countryside setting provides the perfect getaway and our enthusiastic approach to celebrations of all kinds makes the Fleece an ideal place to host any event.